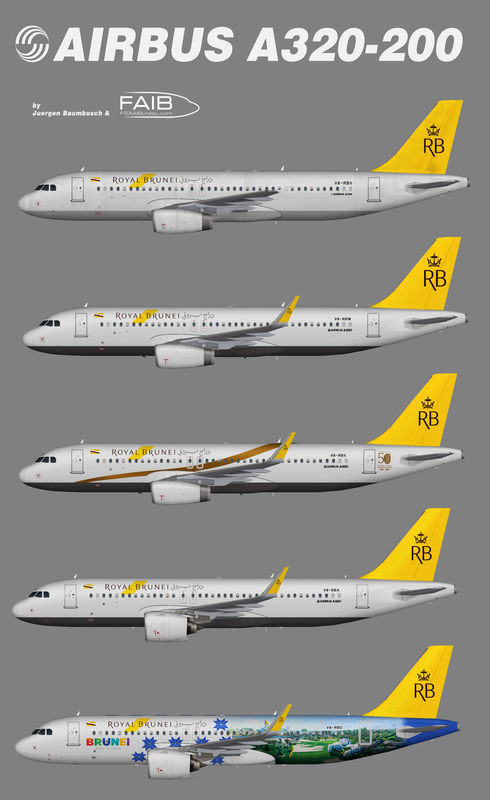 Repaint of Erez Werber Airbus A320-200 in Royal Brunei Airlines color scheme. Base files package for FSX/FS9 available seperately at FAIB Website. For more details please visi t http://fsxaibureau.com. This is an AI aircraft only. Hello JB, for the Royal Brunei NEO paint (standard+Tourism), the overwings emergency door should be use inner size for paint (as per real life), instead of outer size in use.